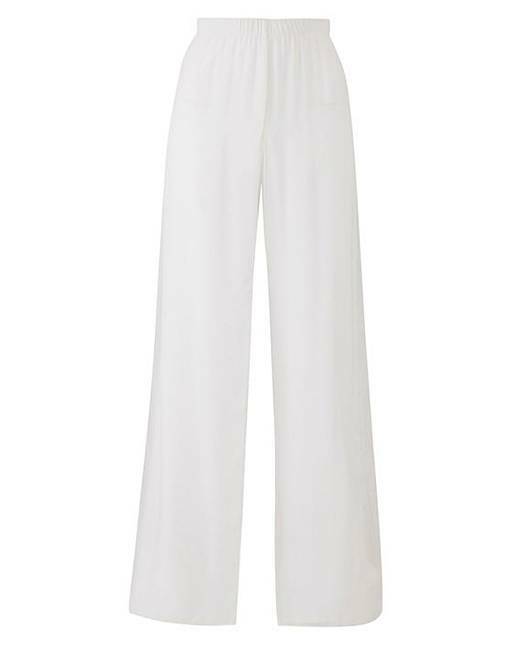 Ooze elegance, as you own the spotlight in these sensational palazzo trousers from Joanna Hope. Exclusive to us these trousers are made from a luxurious, heavyweight jersey fabric with sheer over-layer that floats freely as you strut your stuff. Complete with elasticated waistband, these trousers promise optimum comfort no matter what the occasion, without compromising on style.